Therapy Innovations is confident that the superficial heat modality they have developed will change the way healthcare professionals look at heat therapy. By integrating new technology they have created the "Smart Heat" System, an innovative replacement for your old hydrocollator. You will no longer have to put up with temperature guessing, towel layering, or stagnant hot water. The waterless system from Therapy Innovations comes in several configurations, making heat therapy cleaner, safer, faster, and much more energy efficient than other methods currently in use. 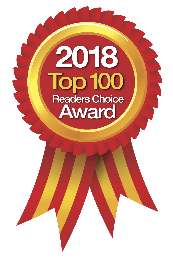 Therapy Innovations has developed a 2nd generation "Smart Heat" Pad that assimilates advanced technology, making it safer and more reliable than ever before. These pads have undergone rigorous testing for accuracy, durability, consistency and longevity, thereby ensuring that the "Smart Heat" System will meet the exacting needs of healthcare practitioners, and moreover, surpass their expectations for a portable heat therapy pad. The "Smart Heat" System heats in 10 minutes and supplies 20 to 30 minutes of therapeutic temperatures. The system is portable; it has gel pads that can be disinfected, machine washable covers, and most importantly, it is waterless. Developed by an athletic professional, for professionals alike, Therapy Innovation proudly stands behind their groundbreaking technology that will help advance the way you treat your patients and athletes. For more information, call 888-718-0694, email the company at info@therapy-innovations.com or visit their website. 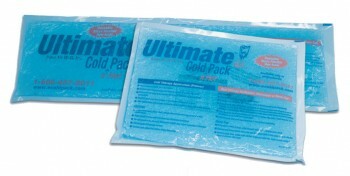 If you are looking for pain relief that is not a drug, then the Ultimate™ Cold n' Hot Packs from Tri W-G are your answer. And, these products are available in five sizes ideally suited to the back, neck, elbow or knee areas: 6" x 10", 10" x 15", 5" x 18", 9" x 12", and 7" x 25". 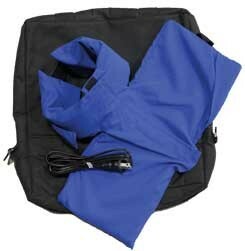 Tri W-G's Ultimate™ Cold n' Hot Packs are strong, durable and reusable. They can be used for cold or heat therapy and remain therapeutically flexible when frozen. These packs can also be personalized and used to help promote your business. Custom slip covers with Velcro straps are also available for purchase. Ultimate Cold n' Hot Packs are sold directly to professionals only. For more information or to place your order, call Tri W-G at 800-437-8011.